Mike practices in the Sebring Office, is a shareholder in Swaine, Harris & Wohl, P.A., and has over 50 years of experience in probate, estate planning, real property and government law. Mike has been married over 50 years to Mary Langford Swaine and they have three sons: Mike, Will and Bob, and nine grandchildren. He was born in Chipley, Florida, raised in Fort Lauderdale, and has resided in Highlands County for over 45 years. 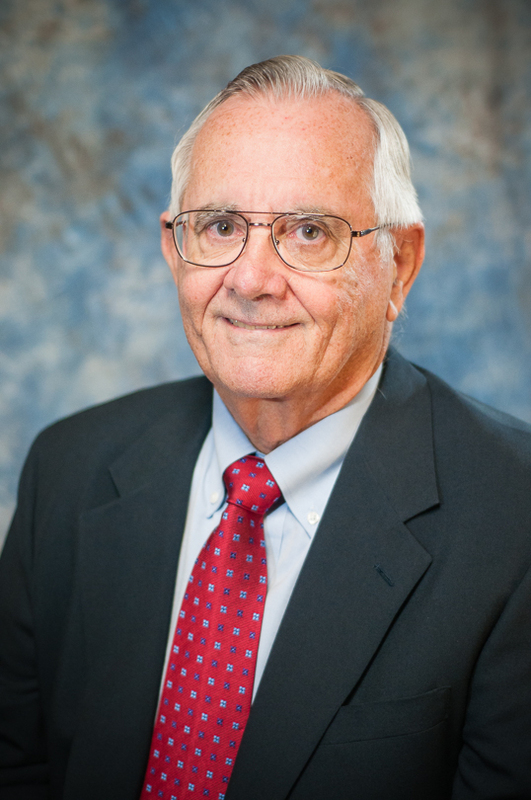 Mike has practiced law in Florida since 1966 and was admitted to practice before the U.S. Supreme Court in 1997. He received his Bachelors degree from Florida State University in 1963 and was a member of Alpha Tau Omega fraternity. He received his law degree from the University of Florida in 1965. He practiced law with the firm of Holland & Knight and its predecessor in Bartow and Lakeland, Florida from 1966 to 1972 before moving to Sebring. He has been a member of the Executive Council of the Real Property, Probate, and Trust Law Section of The Florida Bar from 1982 to date and has served in various capacities including Chair of the Section in 2001-2002. He was a member and Chair of the Second District Court of Appeals Judicial Nominating Commission. He is a member of the Board of Directors of Florida Lawyers Support System, Inc. and Florida Legal Education Association, Inc., a member of the American College of Real Estate Lawyers and a Fellow of the American Bar Foundation. He has been included in Florida Legal Elite since 2004, was selected for its first “Legal Elite Hall of Fame” in 2009 and has been included in it each year thereafter. He has also been included in Florida “Superlawyers” since 2007. He is rated “AV” by Martindale-Hubbell and is listed in the Bar Register of Preeminent Lawyers. Dedicated to his community, Mike has provided pro-bono legal services to Sebring Firemen, Inc., Highlands County Fair Association, the Highlands Art League, Florida Ridge Big Brothers/Big Sisters, Inc., Highlands County Family YMCA, Inc., the West Sebring Volunteer Fire Department, Sebring Tourist Club, Inc., New Testament Church and Mission, Inc., Heartland Food Reservoir, Inc. and to various churches in the community. In 2004, Mike also provided legal services under the Disaster Legal Services Project of the Young Lawyers Division of the Florida Bar. Mike was the recipient of the Community Service Award in 1986 from the Greater Sebring Chamber of Commerce. Mike was a member and former Chairman of the Board of Elders and a former member of the Administrative Committee of Bible Fellowship Church. He is a member and past President of Sebring Fireman, Inc. and the Highlands County Fair Association. He is a member and past Director of the Sebring Chamber of Commerce and past Chairman of Caloosa District Boy Scouts of America, receiving their Silver Beaver Award in 1987. He is a past member and Chairman of the Sebring Airport Authority and Race Chairman when the Authority was putting on the 12 Hours of Sebring. He was a member of SunTrust Mid-Florida Bank Board for many years and is a member of the Board of Directors and past President of the Sebring 12 Hour’s Hall of Fame.